WaterWipes are the world's purest baby wipes containing 99.9% water and a drop of fruit extract. 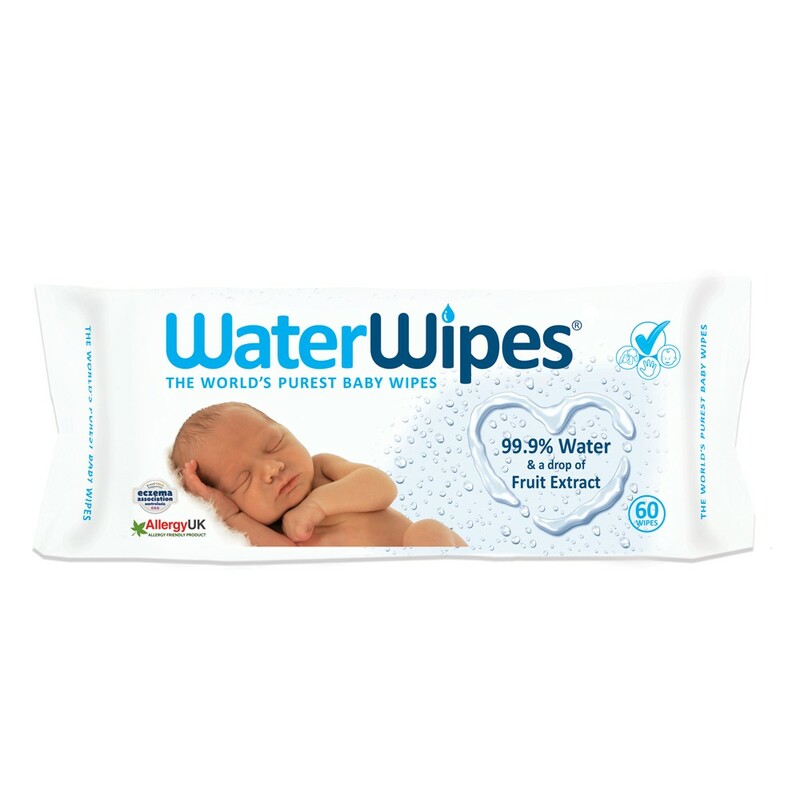 WaterWipes are the world's purest baby wipes and have been carefully designed to be gentle on babies' sensitive skin. WaterWipes contains none of the preservatives or additives that all other baby wipes contain. They're made from just 99.9% purified Irish spring water, 0.1% grapefruit seed extract, and nothing else. They are even safe to use on premature babies skin and are now used in many hospitals and neonatal units throughout Australia. These pure baby wipes offer all the benefits of cotton wool and cooled boiled water, as recommended by midwives. Suitable from birth, they are kind to baby's skin and help avoid nappy rash. They are the only baby wipes ever to be approved by Allergy UK and the USA eczema association. Extra soft and absorbent, they leave no greasy residue - just a clean, fresh feel. These pure baby wipes offer all the benefits of cotton wool and cooled boiled water, as recommended by midwives. Suitable from birth, they are kind to baby's skin and help avoid nappy rash. They are the only baby wipes ever to be approved by Allergy UK and the USA eczema association. Extra soft and absorbent, they leave no greasy residue - just a clean, fresh feel. Also suitable to wipe faces. Allergen Friendly Product - Approved by Allergy U.K., USA Eczema Association and winner of many other awards in Australia and around the world. Peel back seal. Do not remove completely. Pull one wipe at a time, out through the hole. Do not transfer to another container. Do not Flush. Dispose of wipe after use. Aqua (99.9%), Citrus grandis seed extract (0.1%). This is not a medical treatment for nappy rash, eczema or dermatitis, but can help alleviate symptoms due to the absence of irritant chemicals. As this is a natural product without the usual preservatives, please use within one month of opening. Do not cut open the pack or transfer the wipes to another container.